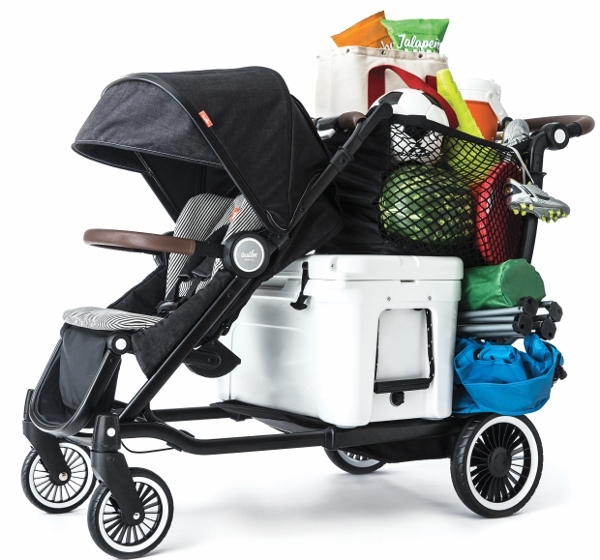 The Entourage Stroller - the pram that really can carry everything! The Entourage Stroller – the pram that really can carry everything! Looking for the perfect pram for every occasion? No more swapping out your pram to suit your agenda. We’ve found the one-size-fits-all solution to your pram problems and we really are beyond excited. Why? Because we’re betting you’ve never seen a pram quite like this one before. Introducing Austlen Baby Co, creators of the award winning Entourage Stroller. This pram certainly has the wow factor. Wait until you see what it can do. The pram’s real party trick is its simple one-handed expandable frame, giving it the ability to carry bulky items. With more than 30 handy configurations and able to hold up to 68kg of kids’ luggage, groceries and gear, your next outing will feel like a stroll in the park. Even though having a child means more fun, laughter and happiness, it also means a simple outing consists of blankets, bags and enough snacks to feed a small army. The Entourage Stroller will be your favourite sidekick, hauling all your gear as well as your kids. And I’m sure I don’t need to tell you how handy it will be for trips to the shop. This pram has been built by a team of engineers who understand the need for versatility. The Entourage Stroller is fully equipped with a spring loaded basket that makes way for oversized luggage and cargo. You will have more storage with the two easy position expandable cargo bags and a storage basket. 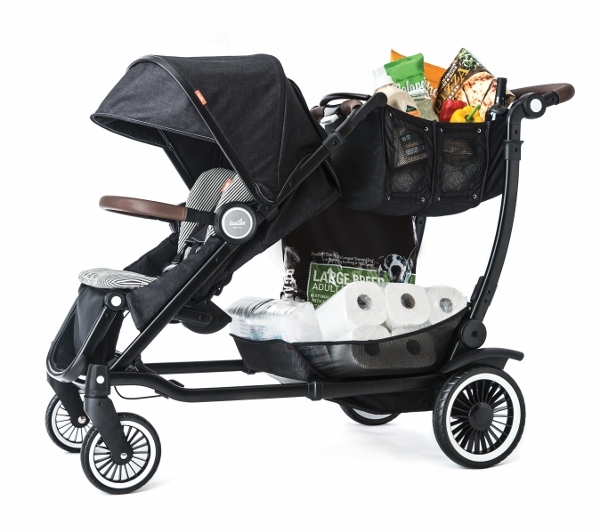 If you’re looking for a pram to take you through all your parenting stages look no further. The pram allows you to choose from three one handed expansion settings, each changing the overall length of the pram. An optional second seat, tote bag or the sit+ stand platform rider and jump seat can also be added. fit, even with the optional second seat aboard. Wait, we aren’t finished yet! I know, what more could there be? The seat has five recline positions and an adjustable calf support, which accommodates children from birth to 22kg. 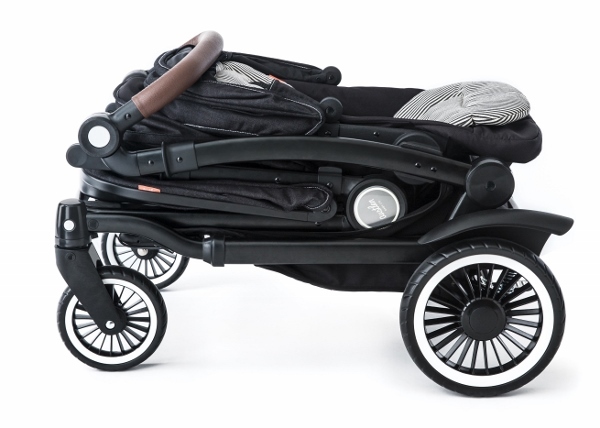 The pram will retail at US$849.99 and will be available in black and navy. The Austlen Entourage includes the stroller frame with seat, adjustable market tote, extra-large lower storage basket, rotating and removable child arm bar, extendable canopy with sun visor, fenders and wheels. Extra seats and additional accessories can be purchased separately. The only downside is that this incredible pram won’t be available in Australia, so you’ll need to head on over to the US to grab one, but we’ll certainly let you know if that changes.